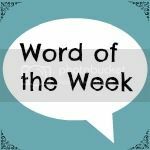 I was in the middle of posting my Word of the Week and The Prompt entries last Friday morning when an tweet popped up on my screen from a producer of a BBC radio programme “Are you free for a chat?” Well that was unexpected! It turns out last Friday night BBC local radio was doing a segment on Camping and they wanted to hear stories of experiences both good and bad. The producer had found a post I had done on our first camping trip which was, quite frankly, a complete disaster and she wanted me to be interviewed about it live on air. My initial reaction was hell no! but we emailed back and forth a few times and then she called me to explain what she wanted from me. I confessed to her that I was worried I would get tongue tied during the interview, I do not do limelight, centre of attention, public speaking type situations…never ever. So she gave me a run through of the sort of things I would be asked and before I knew it we were chatting and laughing like old friends and then completely unexpectedly I had agreed to the interview. So all week I have been thinking about what I could possibly achieve if I listen less to the nagging doubts inside me, stop overthinking and be brave. Don’t worry a carreer in media is not on the cards 🙂 but who knows what might be in the future if I continue to be brave. The possibilities are endless. This entry was posted in Word Of The Week on May 2, 2014 by Lou. Lou you are brave, an interview on the radio is no where near as brave as upping sticks and leaving behind everything familiar an starting a new life. A radio interview ..tish… It was good though, but surreal for us to hear voice coming out of the radio here in the UK, knowing you were in Canada! Well done, I’m not sure I could be so brave! Sorry that my first comment is so confusing =P I just woke up.